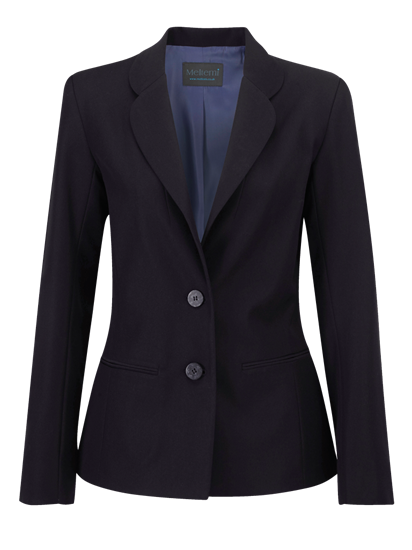 Female EasyCare jacket with tailored styling Shorter style with back panel, Rounded collar, 2 button fastening. 2 jetted pockets. Fully lined. Washable at 40 °C, 100% Soft drape polyester.